A beautiful - and useful - piece of kit for your kitchen. 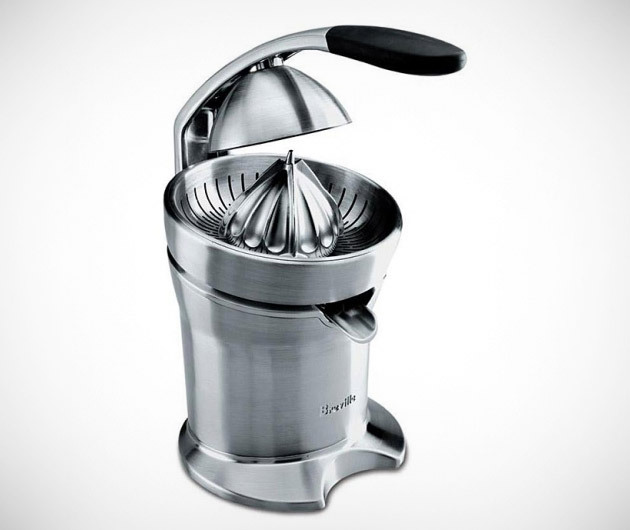 The Breville Motorized Citrus Press is a one-size-fits-all juicer forged from indestructible die-cast brushed stainless steel. The innovative juicing action means that no pulp goes to waste, the motor is so quiet, you won't even know it's there and it's even safe to stick in the dishwasher when you're done.